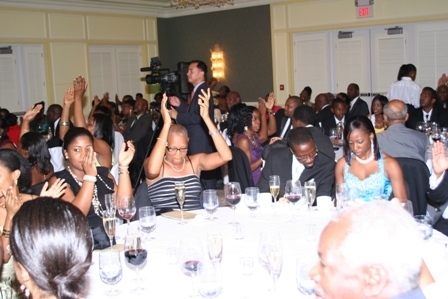 (CHARLESTOWN, NEVIS–MONDAY, JANUARY 17, 2011) The first ever Premiers Gala hosted by the Women’s Arm of the Nevis Reformation Party (NRP), took place at the recently reopened Four Seasons Resort on Saturday, January 15th, 2011 and has been hailed a success by organizers who say the sold out event turned out beyond expectations. Chairwoman of the event’s planning committee, Mrs. Monica Tyson said she was very pleased with the Gala and thanked her fellow committee members Idona Browne, Tonya Powell, Tessa Howell, Hazel Francis, Deli Caines and Sharon Hobson for a job well done and an evening enjoyed by all. Over 200 attendees were given top notch treatment from beginning to end. 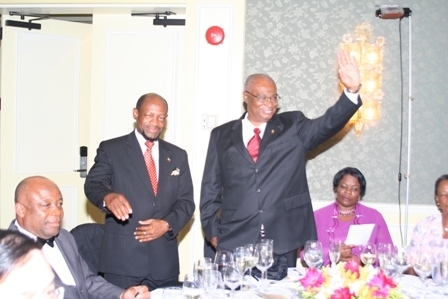 The arrival of the featured speaker, Former United States Virgin Islands Senator Mr. Roosvelt David, the Prime Minister of St. Kitts- Nevis, the Hon. Dr. Denzel Douglas, followed by the National Anthem sung by Mr. Kishon Walters and the invocation by Pastor Davidson Morton. The Premier, honoured guest and his wife were then escorted to their table by two dancers with a dance choreographed by Ms. Diane Hobson. A number of persons toasted the Premier and thanked him for his leadership and a job well done. The NRP Youth Arm gave a toast to the Premier, followed by the St. Thomas and St. John’s constituency respectively, the NRP Women’s Arm and Mr. Chilstone Francis of the New York for Nevisians organization. Deputy Premier, the Hon. Hensley Daniel also toasted the Premier and gave brief remarks. During the night, many attendees raved about the Four Seasons Resort staff’s exquisite service, who ensured that glasses were filled all night with wine or Champagne. Guests at the event also enjoyed the music of the band “Friends” headed by Mr. Livingstone Liburd. Calypso singer Bernard “Nutsy” Thompson sang his hit song “Miracle Man” which he wrote and sang in honour of the Premier of Nevis. Mr. Steve Manners chaired the auspicious occasion and by many accounts he did a fine job of keeping the smooth flow of the evening. 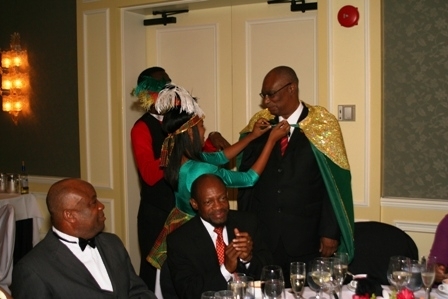 The Prime Minister of St. Kitts-Nevis, the Hon. Denzel Douglas in brief remarks credited the positive working relationship between him and Premier Parry for the significant strides made in the economic and developmental growth of the island. The highlight of the evening by all accounts was the performance of King Konris who sang his hit song “Unstoppable” three times, which had almost everyone jumping out of their seats and picking up a napkin to wave and dance with.